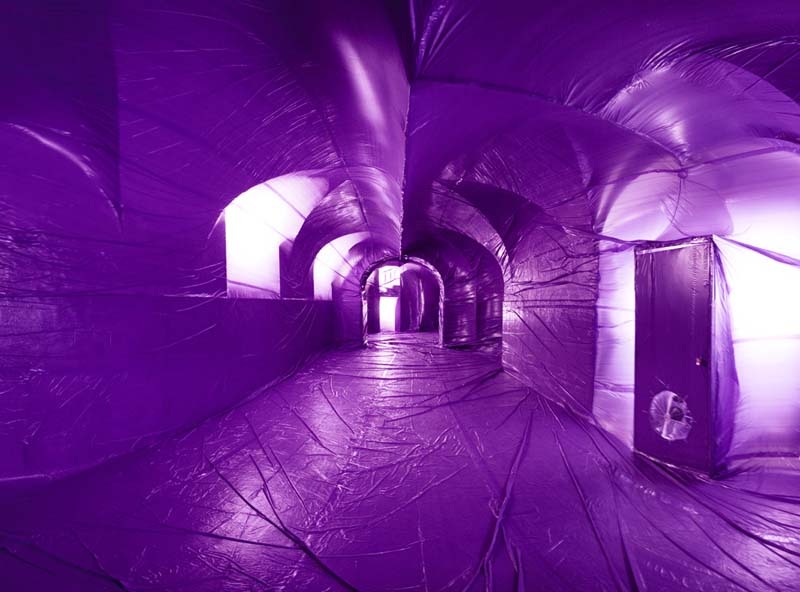 The Spanish art collective Penique Productions was formed in 2007 with the first inflatable project in the University of Barcelona. The group’s projects consist of color inflatables that fill up spaces erected by others, giving them a new identity. By blanketing the architecture using plastic and blowing fans, the space is simplified emphasizing the shapes and textures, ultimately generating a different atmosphere within the same structure. These installations inhabit the spaces temporarily and so far have occurred throughout Europe as well as in Mexico and Brazil. 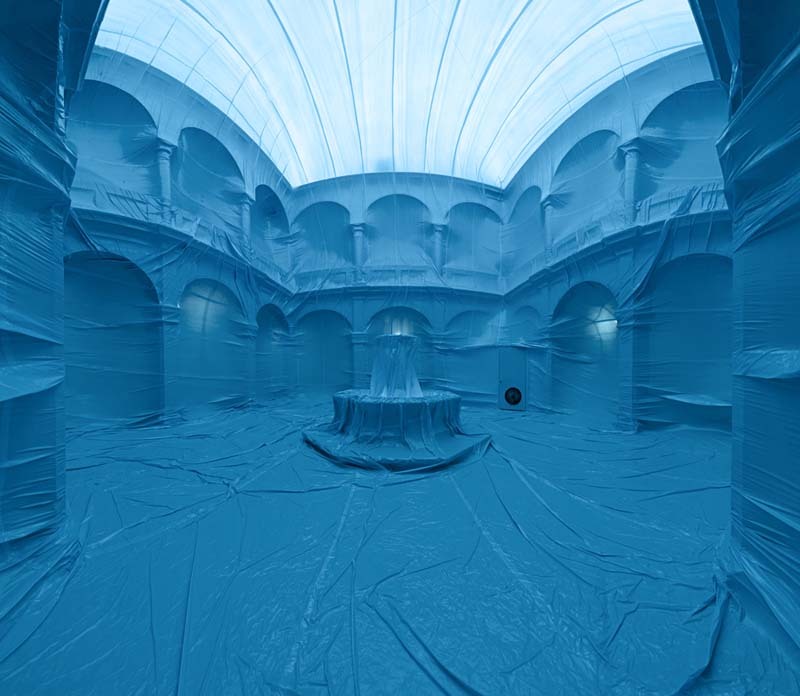 The group cite Christo as a major inspiration as well as contemporary artists Rachel Whiteread, Kimihiko Okada, Doris Salcedo, Tomas Saraceno and Ernesto Neto among others. And Em will be excited to learn that they worked with Maison Martin Margiela for Paris Fashion Week.